Where will I get a quality logo? Do you need employees? If yes then how many employees will you need initially? Can you hire temps? Do you have the list of supplies that you need to establish your business? It includes getting services such as POS system and internet, as well as supplies such as phone, printer, scanner, furniture etc. After considering the above factors you must also decide various business aspects that make you stand out from the crowd. A well-researched checklist can prove to be a reference guide forat least the first 5 years of your business life. To get the in-depth knowledge you can also conduct market surveys(from time to time) to gauge the response of your target audiences and to make changes in course. Once the list is prepared, you must then sort out the legal issues that relate to your business. It means that once you have decided the type of business that you are planning to start,the next step is to get it legally registered. No matter what kind of business you are planning to start you must make sure that the kind of goods & services you are selling are legal followed by legal business activities.Being a busy executive your may be encounter a lot of business issues. In such situations a properly managed business startup checklist can channel your energies towards productive things that require more attention. 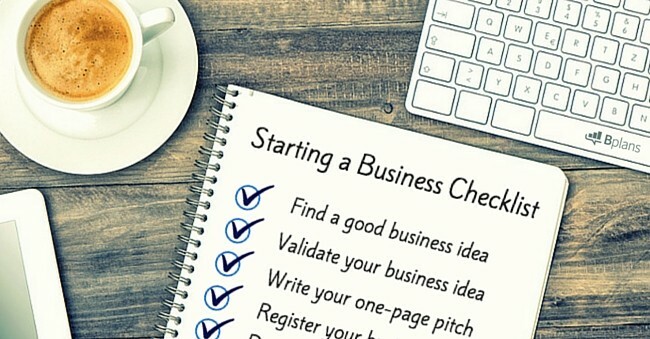 Hence a good business startup checklist can help you to run your business productively & with confidence. It also helps you with everything that you need to know to succeed. The beginning is always the hardest, for sure! From business ideas to your budget, it’s challenging, especially budget part. You can opt for a loan if you think you don’t have enough savings for it, but first, you have to make sure your credit history is good as it affects your loan application. In case you have a bad record, make credit reporting agencies your friends. What Is a Credit Reporting Agency and Why Should You Care? Because they can help you big time when it comes to repairing your credit. Having said that, It is important to note irrespective of whether you want to establish your business on a medium or big scale, it is always advisable by the experts to start your business initially as a low budget startup to prove interest and then scale from there.